Services: All units also come complete with wireless Internet broadband access, & Car Park. There is 10-minute bus ride from both Hougang MRT and Buangkok MRT, Hougang Village Residences is also a mere 20-minute drive from Orchard Road and the Central Business District via expressway. It also provide a free shuttle service to Ang Mo Kio MRT Station every weekday morning (except public holidays). Minimum lease period: One week. *1-week to 1-month lease: Equivalent rent amount & equivalent advance rent amount. *1 to 6-month lease: one month's rent, one month's advance rent, $500 utilities/IDD deposit. *Exceeding 6-month lease: two month's rent, one month's advance rent, $500 utilities/IDD deposit. Full condo facilities and clean. Rates are less expensive than downtown apartments. Near French School. 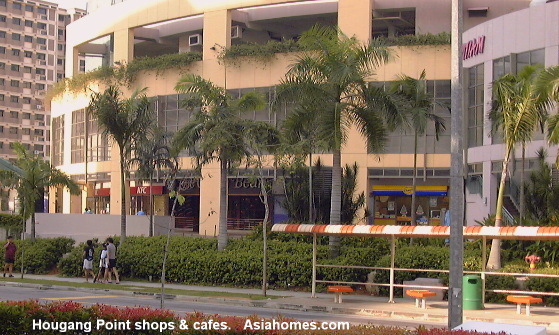 Supermarket, food court, fast food and retail outlets are in the same building. 10-15-minute taxi to Orchard Road. 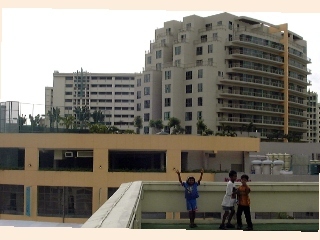 Not near the subway but a 5-minute drive to the new French School at Ang Mo Kio Ave 3. 10-minute bus ride from both Hougang MRT and Buangkok subway. A 20-minute drive from Orchard Road and the Central Business District via expressway. A free shuttle service to Ang Mo Kio MRT Station every weekday morning & evening (except public holidays). Not walking distance to a subway. However, the apartment management provides a free shuttle bus service to Ang Mo Kio MRT Station in the morning from 7.30a.m to 8.30a.m and 5.30p.m to 6.30p.m, half an hour interval. The biggest 3-bedroom unit comes with a big balcony but then the 3rd bedroom will be small, only to accommodate 1 single bed. There are different sizes of 3 bedrooms in Central Place from 1066 to 1593 sq ft. The biggest 3-bedroom unit comes with a big balcony but then the 3rd bedroom will be small, only to accommodate 1 single bed. For the other 3-bedroom unit, there will be 2 Queen size and 2 single beds. Monthly rate range from $5,000 to $6,000 excluding 7% Goods and Services Tax. This rate includes 3 times a week housekeeping, utilities, local calls, television cable channels, broadband internet, shuttle bus service to Ang Mo Kio MRT Station in the morning from 7.30a.m to 8.30a.m and 5.30p.m to 6.30p.m, half an hour interval. 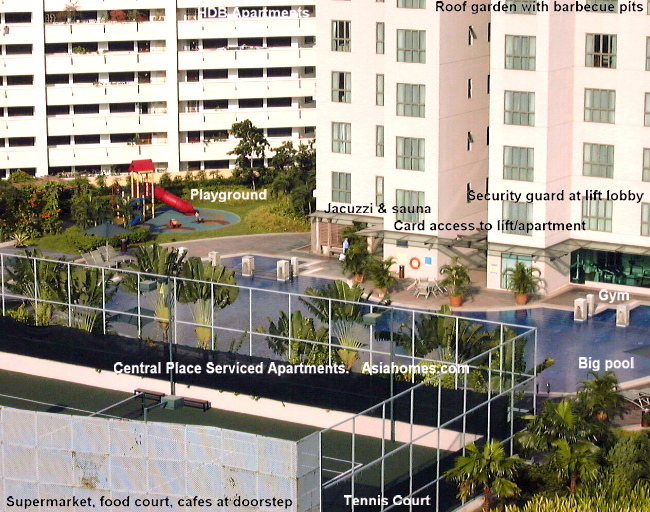 Use of recreation facilities - pool, gym, sauna, jacuzzi, tennis, playground and BBQ pits. One way airport transfer for lease of 1 month and above. Payment - 1 month advance rental, 1 month security deposit and $500 for utility deposit. 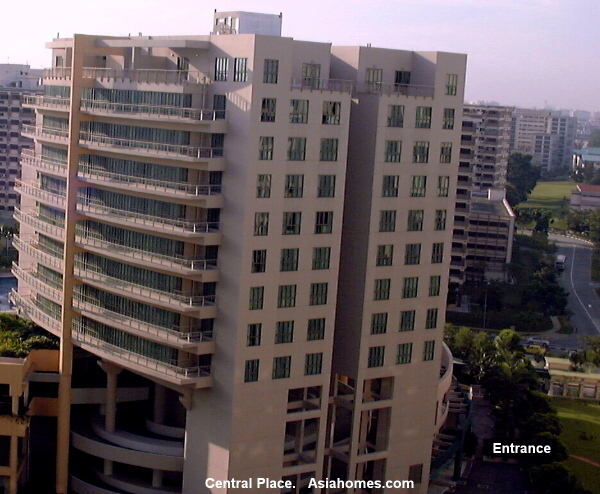 Hougang Village Residences serviced apartment, the same building where Hougang Point is. A 2 bedroom with a queen and 2 single beds, weekly rate based on 8 days / 7 nights will be S$2,200 and subject to GST. This rate will includes 3 times a week housekeeping service except Sundays and public holidays, internet access, basic tier cable tv, local calls and utility. There is a free shuttle bus service from Hougang Point to Ang Mo Kio MRT Station from Mondays to Fridays from 7.30a.m to 8.30a.m at half an hour interval. They may bring expats to view the units of any serviced apartments if expats are willing to pay a service fee of S$200 - $300. Please try NOT to abuse this service if you just wish to shop around for the lowest rate and then book the apartments yourself or with your own agent.